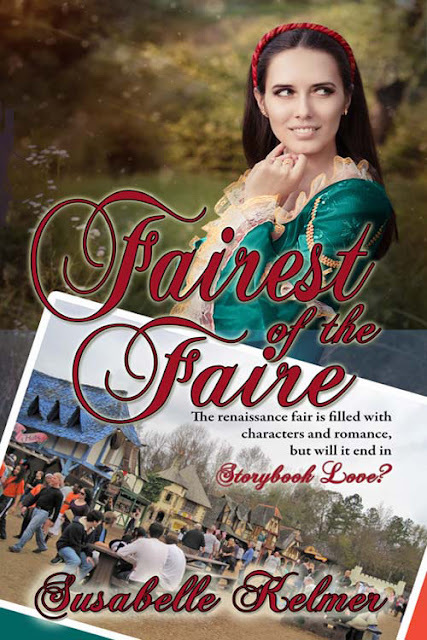 - it's a real pleasure to feature a fellow Wild Rose Press Author, Susabelle Kelmer on my blog today, and I wish you much success with 'Fairest Of the Faire' it sounds like a wonderful read - and what a lovely cover! 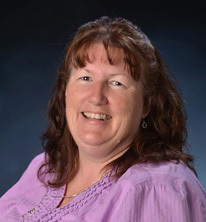 I want to thank Hywela Lyn for hosting me on her blog today. My debut novel Fairest of the Faire with The Wild Rose Press was released on June 5th, and I’m excited to be sharing that sweet love story with the world. But first, I wanted to talk a bit about the English-to-English language barrier. Sounds serious, doesn’t it? Some years ago, when I was young-ish, I had a boyfriend from York. We met on the Internet, but that was the early days, when everything was Internet Relay Chat (IRC) rooms and dial-in bulletin boards. The web was just getting its start and was mostly full of government documents and university white papers. We met in a chat room for geeks like me. At the time, it was pretty exciting to say I had a boyfriend overseas. You see, as an American, the thought of having an out-of-the-country boyfriend was kind of titillating. And Alex and I were great at communicating when we were typing to each other. Then he called me on the phone. I have no idea what language he was speaking, but it wasn’t English! I think he thought the same thing about me. While I’d envisioned the lilting voice of Sean Connery, he sounded like there was a wood chipper in his mouth, spewing out words that fell onto the ground as unrecognizable snippets of vowels and consonants. A York accent is a heavy thing, and it took me more than a bit to get used to. It helped that he started talking slower, and I did too. But even so, there was a language barrier as well. 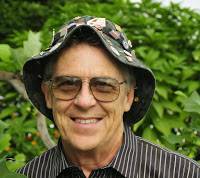 A bonnet is something an American wears on their head if they are working in the garden. A boot is something we wear on our feet to keep the mud out. A Macintosh is a tart apple. English is not English when we’re talking about the English language. But oh, the fun we had. We learned so much about each other, and finally got to meet in person and spent a few weeks together. The relationship was not meant to be, but we went our separate ways with great affection for one another. He eventually moved to Texas and married a nice woman, and we occasionally chat and catch up on what each other are up to. I wonder what the Texans thought of Alex’s accent when he arrived there. And I wonder if the Texan dialect has infiltrated his heavy York accent. “Who said anything about a relationship?” he said, standing up so he could tower over her again. I've just come across this lovely five star review on Amazon! Thank you so much 'Mainer' - I don't know if you lovely readers realise it, but a review means the world to an author - how else are we to know you enjoyed our books :) and reviews like this encourage us to go on writing! Thanks again to everyone who has ever been kind enough to leave me a review - I really appreciate it! I am really excited to welcome Hawk to the Flight Deck once more and thrilled that he has agreed to share some more about himself and his books. Hawk: OR maybe they do. 1 Ego and confidence make a matched team BUT in no way shies away from giving credit for the help I’ve been fortunate to receive. 2 Getting a genuine thrill out seeing a mind with dreams supported by those they love & love them; watching them train/work/fail/learn/grow & finally blossom into gifted creative artist(s) or trained creative professional(s) in the unbelievable grandeur-architecture of living things…plant or animal to me are the same. Kind’a makes artist & healer the same. 3 Having had the good fortune to have an expanded education that gave me many doors to use/choose. HL: Great answer Hawk, Now ... what do you do for fun when not writing? Hawk: Read historical non-fiction or the latest scientific quantum revelations out of CERN…some outstanding quantum physics authorities that have a writers-gift few ‘scientist-researchers’ possess…they express their work in terms the person in the street. HL: So when did you start writing? HAWK: the sixth grade for my class weekly news sheet…a serial mystery. HL: Ah, I suspect many of us started writing that way. I'm curious - what comes first for you: the plot or the characters? HAWK: Depends on how the idea strikes me. Title & plot…I carry a notepad with me constantly, or during the night when resolution to a plot slams me wide awake…I luv it. 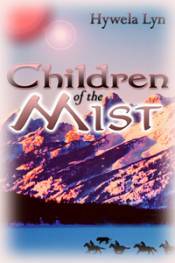 latest release and what you think readers will enjoy about it. 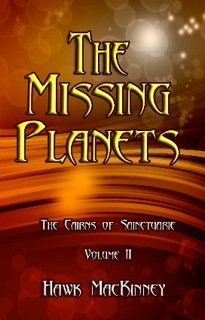 HAWK: There are 2 latest release, an Ingram thriller, Walking the Pet & Vol-II in the Cairns sci-fi(s), The Missing Planets. Enjoy? Like in any told tale or play or film it’s the identity with the character interplay that’s the interplay of the tale. All else is tasty whipped cream & fresh strawberries. HL: Love the analogy! If someone were to play one of your characters in a movie, which character and what actor would it be and why? HAWK: Probably Travis van Winkle…he started young in castings I’ve never heard of, but I’ll watch R&R action films to get my mind off edits and manuscripts. Character(s) developed during the film(s), as in any of the creative arts, he brings confidence and experience and crafted tools added to screen presence that makes his role(s) living-real. In my sci fi series The Cairns of Sainctuarie, for the Murian protagonist…Keanu Reeves…eyes, facial and physical expression, he can become a poker-faced stoic in a crisis. Same with books. My Since women characters are some my favorites…I’d have to think on that...they’re very special. HL: Aw, it's not always easy casting for your books is it! Have you a favorite actress? HAWK: Ingrid Bergman, Katherine Hepburn, Olivia de Havilland…I’m dating myself, but these actresses don’t need paparazzi or media blitz to be so-called stars. These actresses let their craft speak for them…most certainly not available to cast as young widow of a SEAL. HL: They were certainly amazing actors. What have you learned about writing since you were published that surprised you the most? HAWK: Characters that step off the pages can hold any plot…example sci-fi OR any tale well-spun. HL: Oh I couldn't agree more Hawk, I love it when characters become so real they 'step off the pages' as you say. So what’s you’re writing process? Has it changed since writing your first book? HAWK: Yes and no. Editing is the key. Honesty, sometimes brutal honesty with the figure in the mirror is essential. I don’t think there is “a” single process. One does what is comfortable; writing is so very private. My man-cave solitude is my world when I’m interweaving characters with each other, the plots and within themselves. HL: I certainly agree with you about the editing, and the honesty! Do you listen to music when you write and if so, what kind of music – or do you find it distracts you? HL: I rather enjoy listening to the classics myself when I write. Now, do you have a support system? Do you have a writing community? What valuable lessons have you learned from them? HAWK: A support system - yes. A writing community - yes. The most valuable lesson in constructive editing (not criticism but learning) only from individuals with goals/examples I respect…in Southron-speak civilized. I take very hard looks at any decision (including my own) about altering/changing a manuscript/cover/title. HL: You are so right. Sometimes you have to think really hard about prospective changes. Enquiring minds want to know - what is your personal definition of success? HAWK: Listen to your heart/Learn from those that want to help/Turn mistakes into learning opportunities. HL: That is actually great advice! What is your favorite source of inspiration? HL: And is there any advice, as a new writer, that you were either given, or wish you had been given? HAWK: Not advice but examples set by those I respect: Believe in your dreams; never say NO to yourself & never quit. HL: I think that should be in large letters above every writer or artist's desk! What sort of research do you do for your books and what’s your favorite source of information. HL: Absolutely, I love research! Now, just for fun, if you were an animal, which one do you think you would be, and why? HAWK: Probably a German shepherd…they’re elegant animals, smart, alert, easily trained & just enough wolf to be loyal to the pack, giving way more than we give them. I miss mine terribly. HL: Aw, I've never had a German shepherd, although I've had dogs (and horses) all my adult life. Shepherds, as you say, are so smart and elegant. Beautiful animals. Getting back to books, many authors relate their characters to people they know. Is this the case with your characters and do you see yourself in any of them? HAWK: Bernadine Eugénie Désirée Clary, one-time fiancé of Napoléon Bonapart. Discarded in favor of Josephine; she married General and Marshall of France Jean Baptiste Jules Bernadotte. She became Dowager Queen of Sweden and Norway, founder of the Bernadotte Dynasty on the throne of Sweden to this day. Ahhh…a tale worthy of Walt Disney…a lesson in history…if we care to look. Even better…if we read. HL: Is there a question you really, really wish someone would ask, but they never do? If so what would be your reply? 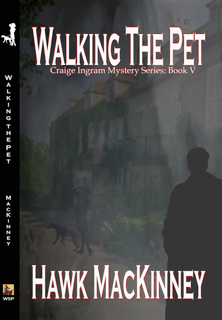 HAWK: Perhaps the connection(s) that stretch from the romance of Moccasin Trace straight thru the descendant(s) of that bloodline & the traditions/duties that shaped the serial protagonist Craige Ingram. Ditto for the dual protagonists in the Cairns series…Eklam a’Qoc & Korvo. HL: Hawk, that is probably the most interesting answer I've ever had to that question! :) Thank you so much for taking time to visit my blog, it’s been a thrill having you here and learning more about you and your writing. I wish you much success both now and in the future. and finally, here is a summary of Hawk's books.